Learn to play the drums: the perfect Christmas gift! 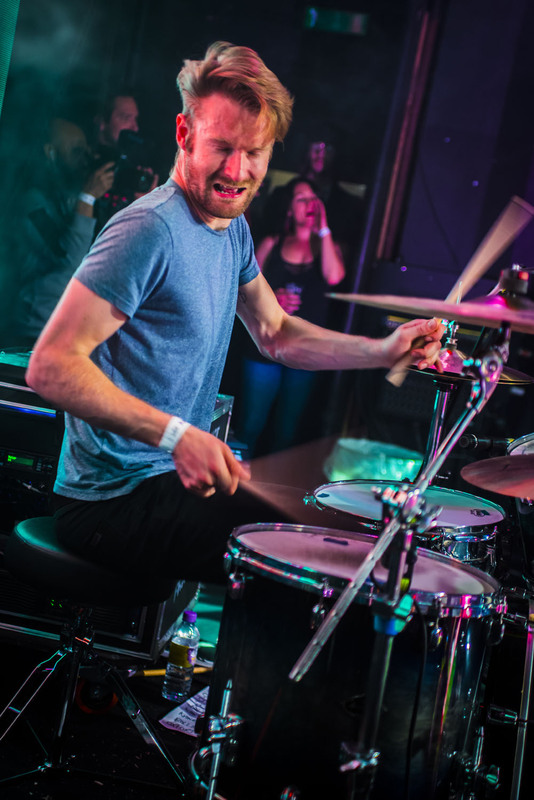 I provide drum lesson in Brighton & Hove and all the surrounding areas in Sussex. You can come to my drum studio in Portslade or if you have a drum setup at home I can come to you. Get in touch for special xmas drum vouchers, and lets get you booked in to learn the drums in 2019, or even sooner! 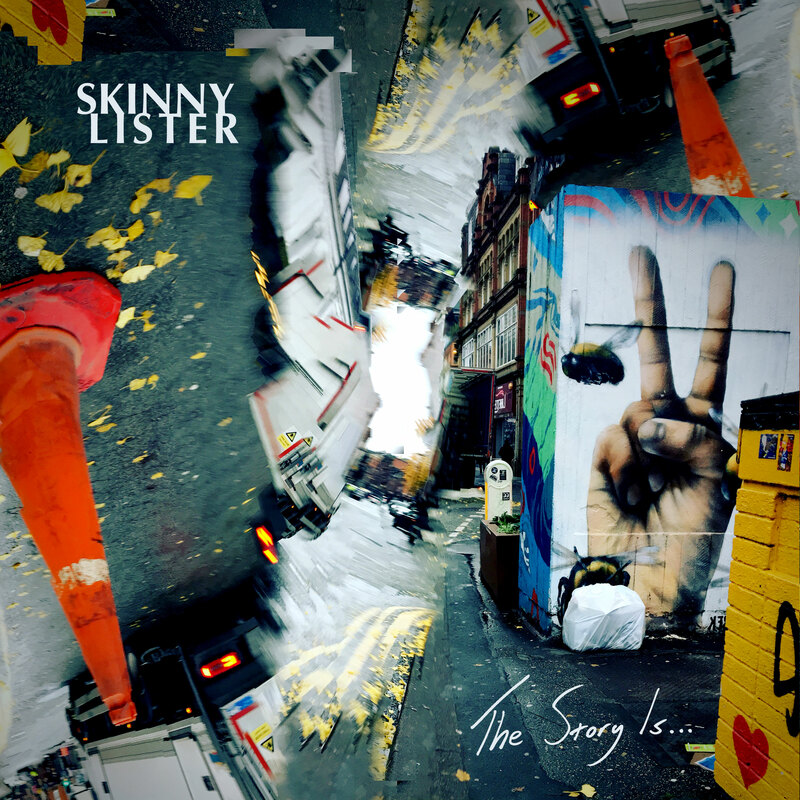 1st March 2019 sees the release of the 4th Skinny Lister album ‘The Story Is…” on Xtra Mile Recordings. It’s my 2nd album recording with the band and was recorded at Blue Bell Hill Studios with Barny Barnicott (Arctic Monkeys, Kasabian, The Enemy). Also for those looking to enquire about drum lessons, I am currently taking on new students, so please do get in touch. Thanks! Thom. If you are a musician, band leader, producer, management or whatever you maybe, and have current project in need of live drums, no matter the genre I can help you out and I am not asking for any payment (although I would ask for my expenses to be covered, but thats not much to ask right? Hopefully!). Currently I am mid way through a mini tour of East coast America. We have just completed the Salty Dog Cruise, a festival on a cruise ship set-up by friends and fellow band Flogging Molly. It was a crazy time, sailing from Miami to the Bahamas over 3 days, and I got to see at close quarters one of my biggest drumming influences Josh Freese play with the incredible Vandals. 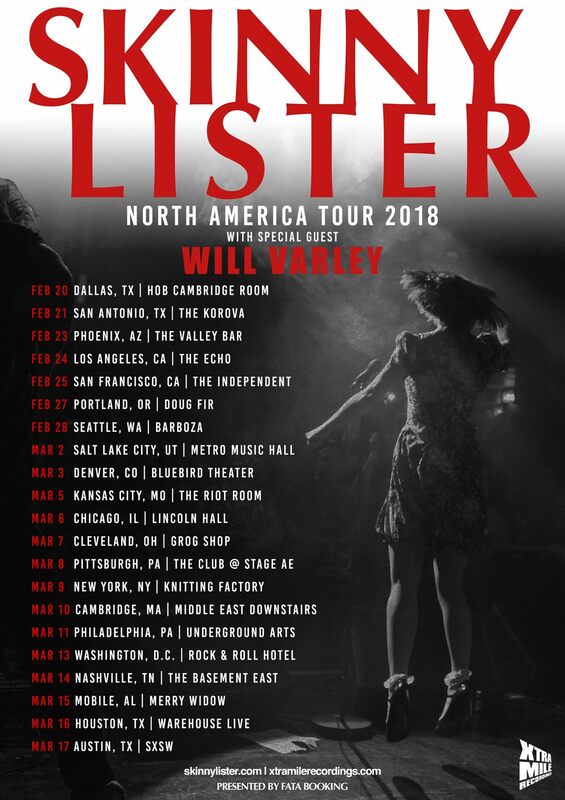 Now we are off on a 5 date tour of the east coast before returning home, to start recording and writing the fourth Skinny Lister album, due for pencilled release in 2019, so watch this space! Ludwig 1966 ‘Keystone Badge’ Super Classic Outfit. Bass Drum 22×14, Rack Tom 13×9 & Floor Tom 18×16. Original Sky Blue Pearl Finish. 3-Ply Shells with Reinforcing Rings. Happy new year! Here’s to a brand new year with loads of exciting projects and music in the pipe line. 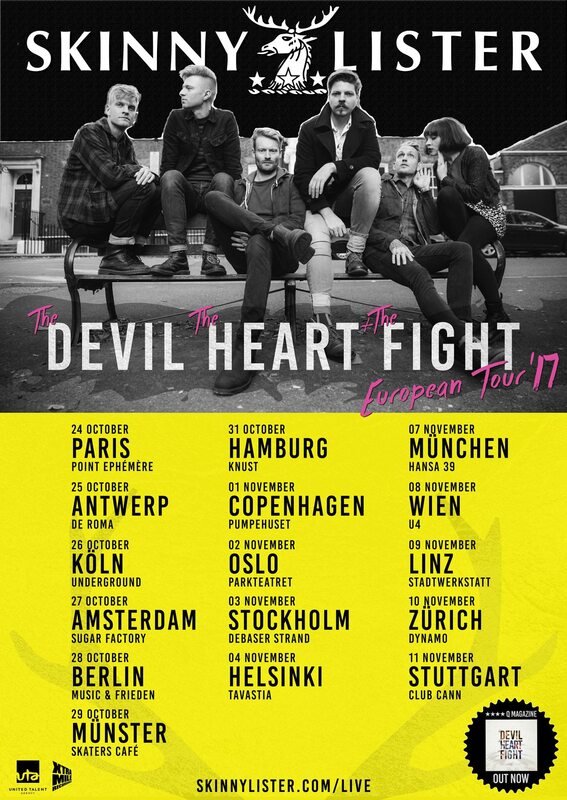 Firstly with Skinny Lister we will heading out to the US in Feb/March to finish off touring the “Devil, Heart & The Fight” album campaign. This is then quickly flanked by another week long trip a month later in April to play the Flogging Molly Salty dog cruise from Miami to Bahamas, and then finally a week long run in Germany. That will mark the end of the album campaign, and can mean only 1 thing, time to start writing and recording the next one, album 4! This will take place over the summer, with a view to be releasing it through Xtra Mile Recordings in early 2019. I also have another project in the melting pot and in it’s infancy, called ‘Loose Teeth’ which will be writing and recording music throughout the year, for potential release sometime this year, so look out for that. There will also be a bunch of summer festivals to play, in between recording including Download Festival France, and continuing work on our new festival themed function band ‘Dirty Weekend’, as well as offering and providing drum lessons to my current students, as well as anyone else interested in taking up the drums or continuing their learning of the instrument. 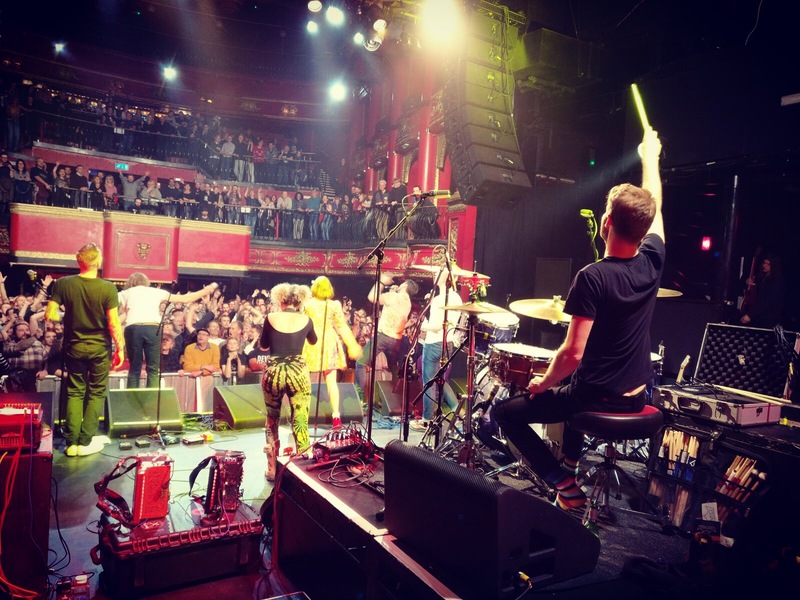 KOKO, what a loco show to end the year on & marks the biggest gig I have ever been responsible for in my musical life. 2017 has been big, long, and incredible; 5 tours, 17 festivals, 66 shows, 44 functions, 127 gigs in total. Even though it’s hard work and I forget it sometimes, I feel blessed to be able to do what I love. Music. 2017 has been a busy year, and to round it off we have released a deluxe version of “The Devil, The Heart & The Fight” which includes our Christmas single “Christmas Calls”. We have also been touring around Europe and the UK in support of the release on Xtra Mile Recordings. 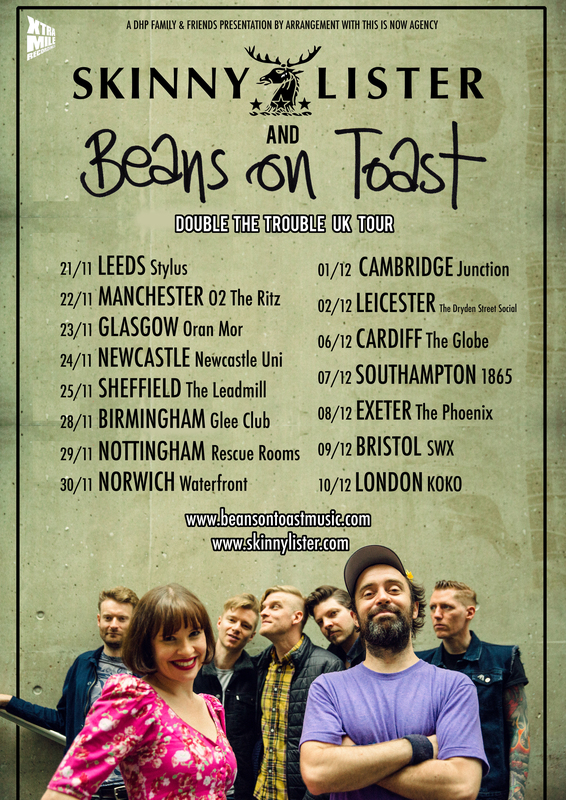 Currently I am on tour across the UK with Skinny Lister & Beans On Toast, on the “Double Trouble” co-headline tour, then 2018 sees us head back to the US for our last tour of the “Devil Heart Fight” album before we start work on the next album, album 4, watch this space for future updates..
2017 Is already shaping up to be a busy year of touring with Skinny Lister. 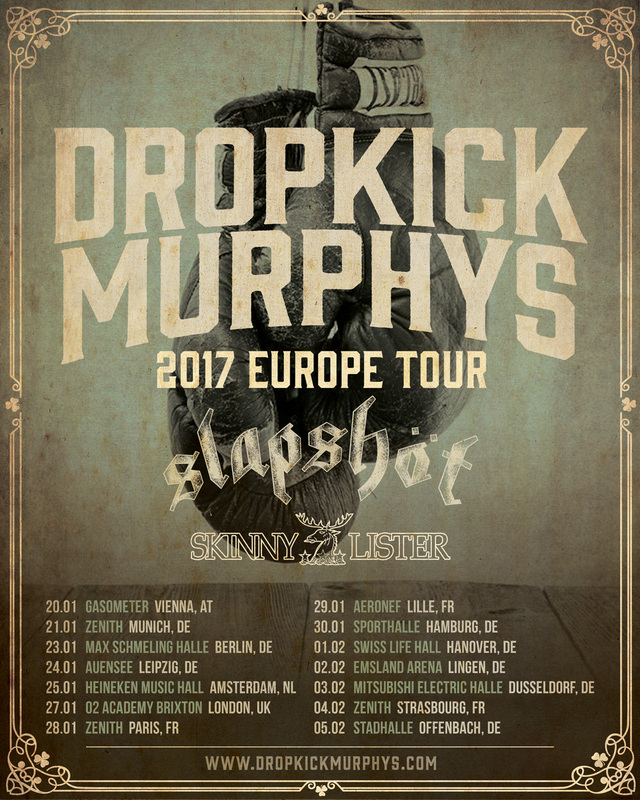 January saw us supporting The Dropkick Murphys around Europe and now next month we are off to the US to support Flogging Molly for 2 weeks across the country, see the dates below. We are then straight into our own headline UK tour in April, followed by the festival season and then another headline tour of our own across Europe and Scandinavia. All the dates are shown below. 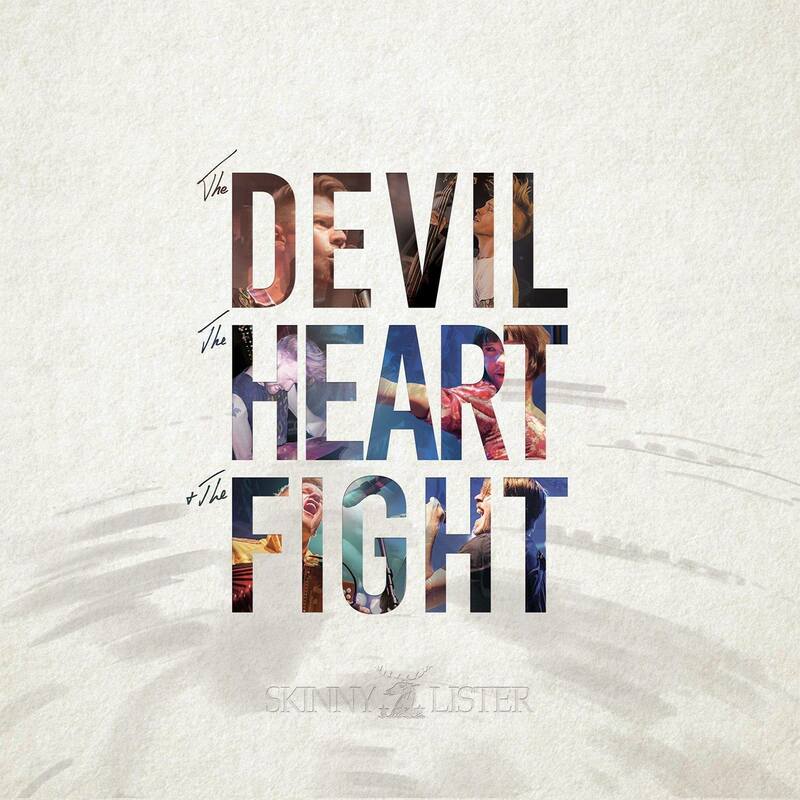 Today sees the release of the brand new Skinny Lister album ‘The Devil, The Heart & The Fight’. 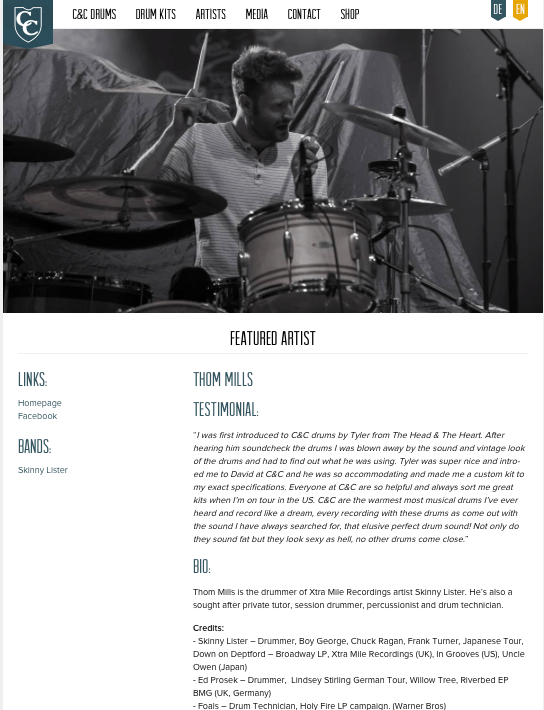 Written whilst on tour with Frank Turner around the USA, UK and Europe last and this year, and recorded in between tours and the festival season, it is the 3rd album from the band and my first album recording with the band on drums. Released worldwide on Xtra Mile Recordings today, you can purchase the record through any of these links, and on all formats, CD / LP / DL. An experimental improvisational drum solo using ambient music as the inspiration. An idea I have had for a while now finally comes to life, many thanks to Wild Stag Studio for filming, George at Small Pond for recording and Jack for supply the wonderful ambient landscape. Been experimenting in my new drum studio-shed with a few favourite rudiments. The Paradiddle-diddle is a great rudiment and here I have switched the 2nd diddle to the beginning of the rudiment, so the sticking is then led with the left hand. LLRLRR Instead of RLRRLL. Put between the hats and the snare drum its quite a tasty groove. Also was an experiment with recording the drums through addictive drums and layering over the video, which I think works well! It’s that time again, going state side and this time we are out on our own with the brilliant Beans on Toast and Will Varley in tow. 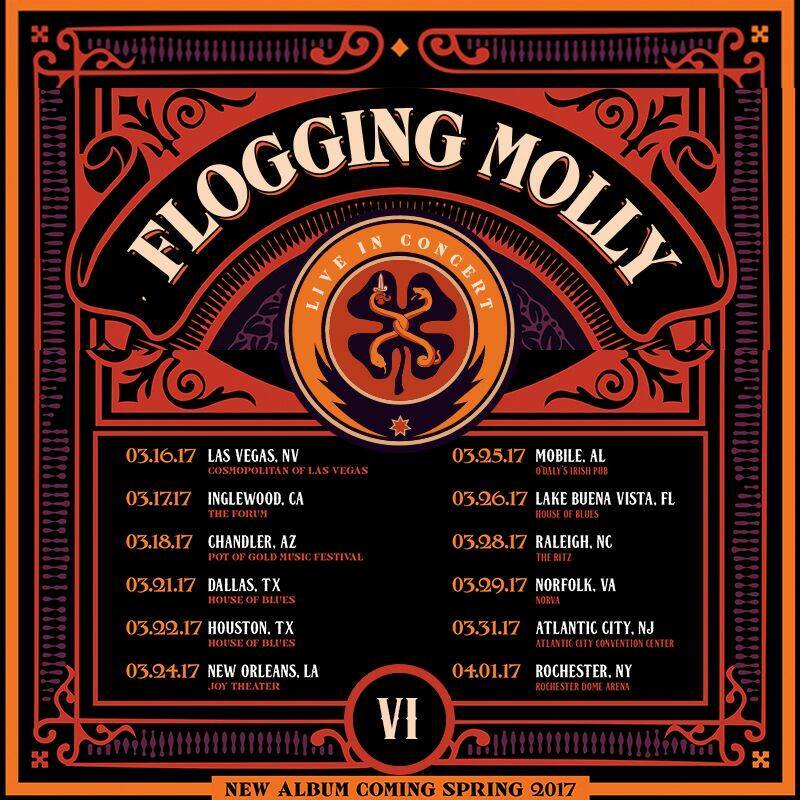 We’re starting in Florida and taking in Flogging Molly’s Salty dog cruise to the Bahamas, which sounds like a crazy drunken boat trip with Rancid, Frank Turner, Fishbone and many others! Also we are hitting up Toronto in Canada and some of the usual hot spots for us in Chicago, Pittsburgh & Cambridge on this 3 week tour.